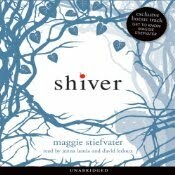 Shiver is a love story about a girl and her dog. Okay, not her dog, but a boy who happens to be a werewolf. And they are both teenagers, which means plenty of angst and earnestness expressed by words spoken, words unspoken, song lyrics and meaningful looks. The story recalls all the adolescent fervor in which everything is a matter of life and death. Of course, in this modern fairy tale, this is quite literally true. There is the obvious body count as victims of wolf attacks appear; but there is also the slide away from human life into a final change into the lupine form after years of lycanthropy. The whorl of emotions and the immediacy of the pace recall the classic story of star-crossed lovers, Romeo and Juliet. Like R&J, the drama of Shiver plays out between the principals, young lovers who determine their own fates, driven by the force of their own feelings. Their worlds devolve around them, relegating others to the roles of supporting characters and; the reader becomes mesmerized by the ephemeral nature of each moment between the the two paramours. Jenna Lamia and David LeDoux are the narrators of Shiver, reading passages from their characters’ respective points of view as Grace and Sam. Each voices their character with the all the whiny pathos the characters warrant. At times, David LeDoux sounds a bit more experienced than an eighteen-year old should; but overall Jenna Lamia and David LeDoux strike all the right notes, recalling what it was like to be young and in love and; trying to take control in the maelstrom of their lives. 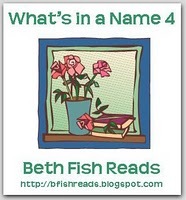 This post is part of the Murder, Monsters, Mayhem feature being hosted by Jennifer L. at http://www.jennsbookshelves.com. This book also qualifies for the Where Are You Reading? Challenge hosted by Sheila at her blog, Book Journey. Shiver takes place in Mercy Falls, Minnesota.